Mangold hurling has enjoyed an enormous resurgence of interest in recent years, and people from all over the world are taking up the challenge of growing and hurling their own mangolds. We were delighted to hear from Lois in Ohio, USA, about a hurling event that took place in October 2008 in Cleveland Heights. 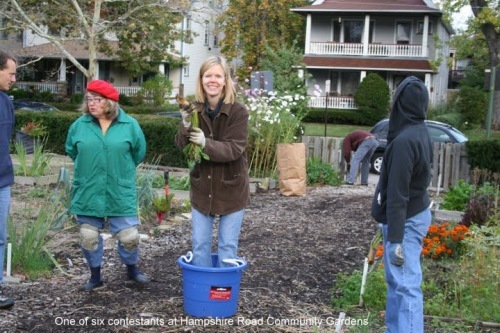 Lois has kindly forwarded these pictures to the Association, showing the crop and some of the contestants in action at Hampshire Road Community Gardens.. 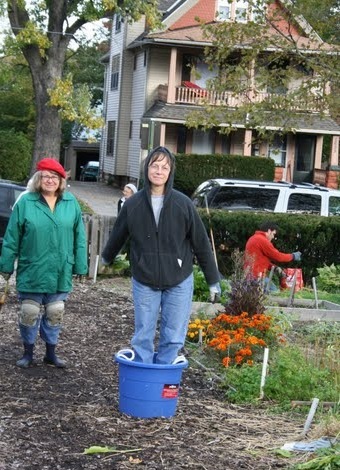 Right: In some parts of the world, willow pitching baskets can be hard to come by. The Hampshire Road residents overcame this difficulty by using this splendid blue plastic bucket - a colourful and practical substitute! Above: The person in the background is trying to ignore what’s going on, but you can’t ignore a global phenomenon forever. Mangold hurling is weaving its way inextricably into the fabric of modern life. 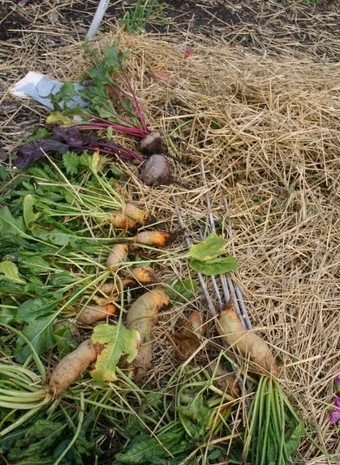 Left: A selection of beets grown in the Community Gardens. 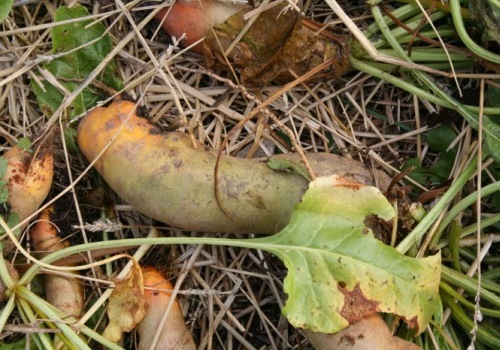 The ones at the top appear to be beetroot, while those at the bottom have the yellowy-orange hue normally associated with beta vulgaris vulgaris and other types of fodder beet. These beets look ideal for hurling in an urban or suburban environment, because larger ones could do a lot of damage if they hit somebody’s house or car. Below: Close-up showing the orange subterranean part of the root. Something’s been nibbling those leaves!